Health Insurance is almost a necessity that everyone should consider in this modern day and age to avoid being caught up in an unexpected situation. Having insurance allows you to be prepared in case anything happens whether an accident or an unexpected chronic illness. Having a health insurance cover in Singapore has become necessary as a means of overcoming the rising healthcare costs in the country. Even the wealthy need insurance so that they can avoid being inconvenienced in case the insured risk happens while at the same time allowing them to handle the situation smoothly. Unfortunately, getting health insurance is not a walk in the park because there are many policy options available. 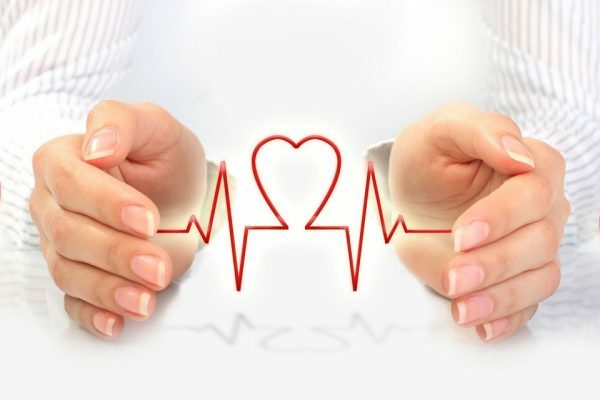 There are lots of things to put into consideration to optimize your health insurance cover. Anyone who is planning to get a health insurance cover in Singapore should, therefore, be keen when selecting the policies that they want in their health insurance cover. Priority should be given to the most important aspects in a life insurance policy. For example, integrated shield plans, critical hospitalization, and maternity are some of the factors that should be prioritized. Below is a guide on how to optimize your health insurance plan. Prioritize your needs- Think of some of the issues that are more likely to arise and prioritize them. For example, a newlywed couple should prioritize maternity costs if they plan on having children. It is having an insurance cover that will cater to your maternity expenses thus reducing your financial strain. Make sure you insure the correct amount- Having an insurance cover is a good thing, but it is just as important to make sure you select an insurance policy that will cater to all your medical expenses. It is, therefore, a good idea to find out the medical amount that you will most likely incur in case the insured risk happens. This will allow you to determine the right amount that will help you avoid being under-insured and having to pay out of pocket. Singapore has a variety of different health insurance plans just like many other mature insurance markets. Understanding the available options will allow you to make a better decision when picking out a health insurance cover. Below are the different types of health insurance plans available in Singapore. Comprehensive medical insurance- This type of medical insurance covers major diseases that are expensive to treat. Insurance firms that offer this type of insurance cater to the insured’s prolonged treatment costs such as radiation therapy, dialysis, and chemotherapy. Hospitalization and surgical insurance- Just as the name suggests, this type of health insurance covers any surgical and hospitalization costs that may arise due to illnesses or accidents. Disability income insurance- This health insurance policy is aimed at making sure that the insured person has a steady revenue stream in case they suffer a disability that prevents them from working. Supplemental medical expenses insurance- Often a medical cover cannot cover all the medical costs. It only exists to supplement the insured’s already existing medical insurance cover. Health insurance is not just limited to the costs of treating illnesses or health implications resulting from an accident. There are also policies that offer other significant benefits such as catering to medical checkup costs as well as the cost of medication. An integrated shield cover refers to a health insurance cover that consists of private health insurance and MediShield Life. The latter is Singapore’s national health insurance scheme which is mandatory and sanctioned by the country’s government. MediShield Life was designed to cover medical bills from class C and B2 ward at public hospitals. Every Singapore resident is automatically included under this type of medical insurance plan despite their age or any existing medical conditions. Patients who pursue the Integrated Shield will have a significant amount of their medical bills slashed from MediShield Life while the other private insurance cover will cover part of the bill. Any payouts involved in IP will only cater to a portion of the entire bill. Private health insurance covers any bills that a patient may incur after being treated in a class B1 or class A ward. The beauty of having a private health insurance plan is that it flexibly supports treatment at both private and public hospitals. Of course, these advantages come with higher premiums, but the bright side is that patients will not have to worry about large medical bills burning holes in their pockets. This is a type of insurance that provides cover for a specified duration of time that may even be years. This type of insurance cover provides a payout in case the insured person dies during the stipulated tenure. However, no payout is issued if the insured survives the specified duration. Such an insurance plan is characterized by low premiums where the insured is young, and the premiums increase drastically where the subscriber is old. This because the risks of illness or death are significantly higher for older people. Term Life insurance policies in Singapore usually focus on terminal illnesses or death. Term insurance is considered attractive because it offers affordable pure life coverage. However, one may decide to take a higher life cover for just as much. Term loans also allow riders which make the policy more useful. For example, the insured may decide to add a critical illness plan which makes them qualified to receive a sum assured payout in case of a critical illness diagnosis. One may also choose to add other riders such as waiver of premium cover, disability cover, and loss of employment cover. This type of insurance allows one to enjoy lifelong insurance coverage and it also features an investment component called policy cash value. Those subscribed to this type of cover are insured for life as long as they pay their premiums up until the maturity date. This policy matures when the insured is 100-years-old or when they die. The payout is given to the insured person’s family. There are many health insurance options available for Singapore residents, and the choice depends on the subscriber’s preference.